In today’s newspapers, representatives from several apartments in Bangalore, which have been classified as ‘bulk generators’ (BGs), have severely criticised the BBMP’s latest move to slap them with a fine of Rs 25,000-Rs 50,000 if they fail to manage their own waste and compost wet waste. While it is justifiable that we expect the civic authority to manage our waste because we sincerely pay our taxes and also the BBMP contractors to take it away and dump it in landfills, we have to think seriously and analyse whether this in itself works as a means to a meaningful end. The ever-increasing population influx, consumerism that promotes wrong packaging methods which are non-biodegradable (but most of them recyclable) and people’s incorrigible “Not-in-my-backyard (Nimby)” attitude have brought Bangalore to its brink. Two major landfills—Mavallipura and the currently operational Mandur—have been bearing the brunt through poisoned soil, water sources and extremely polluted air. All this pollution is coming back to poison the whole well and we are already drinking from it. If we refuse to educate ourselves, the government’s ever-manic pursuit of new landfills will never end. In another decade, we will have the entire city and its beautiful surroundings turned into a trash can beyond redemption. If we act now, there is still hope. First, it’s high time the BGs—any apartment complex with 50 or more units, hotels and other commercial establishments—stopped looking at garbage as a monumental issue. Many practical solutions have emerged over the last few years to compost wet and garden waste at source. Hasiru Dala offers at-your-doorstep services for all types of streams by picking up segregated waste at a cost and processes it scientifically. For dry waste, ITC and most recently, Kuppathotti, buy your segregated dry waste for recycling at a decent price. 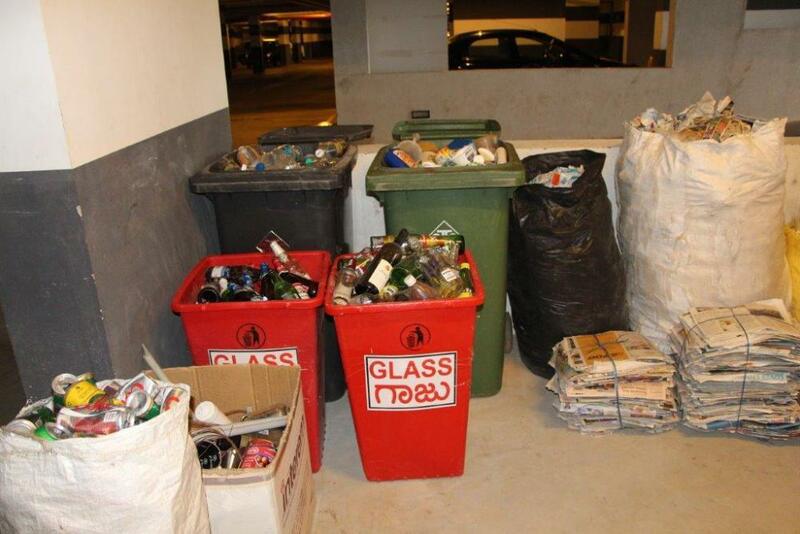 Earlier, ITC used to reject certain waste types which had no recycling value. Of late, they are taking away even themocol and multi-layered packaging material like Kurkure and Lays which has little value. If you prefer disposing segregated dry waste to a nearby collection centre, then please explore this I Got Garbage map. If you still cannot get it going, shoot a mail to Kasamuktha Bellandur. They will show the way. 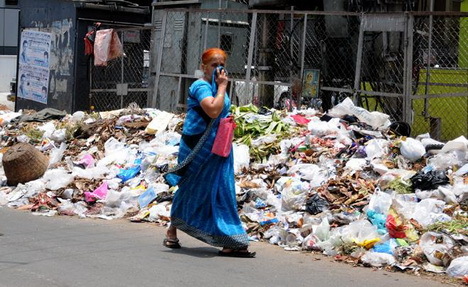 As far sanitary waste, the city has two designated destinations—Semb-Ramky and Maridi—who will help you dispose it of scientifically by incinerating it. Likewise, there are solutions to every problem we are facing. What’s missing is our will power to act. 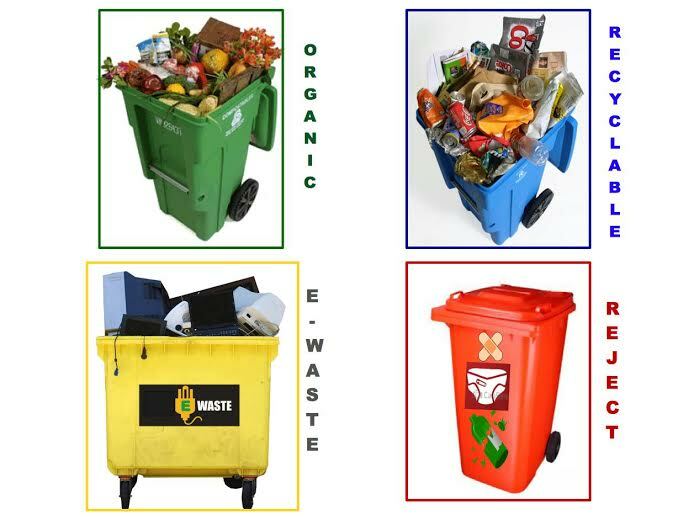 Stay tuned for more posts on community composting methods and solid waste management solutions. This entry was posted in Endlessly Green and tagged Bangalore waste stream, BBMP, Community composting methods, composting solutions for bullk generators in Bangalore, landfills, Waste management in Bangalore. Bookmark the permalink. Plastic waste can be used for road-making. But when the government is deaf, no amount of ideas matter. They are only busy messing things up further and if anything, rearranging the problem by looking for vacant spots to dump garbage/feed the contractor mafia by maintaining an unholy nexus. Actually it will take not more than a few months of focused work to set up a system to handle all kinds of waste. The issue is in accepting the fact that waste in itself is not a problem. But the way we look at it. Toxic elements might leach into the ground. They are not inert materials. We shouldn’t contaminate the soil and water. Chlorine will generate HCL during the process. Well said! It is really unfortunate that people who are willing to spend Rs 40 as car parking fees, Rs 500 for a movie ticket and Rs 1000 for a visit to a restaurant, are unwilling to spend to money and effort to manage the waste THEY generate. And what is being paid to BBMP for disposal by each household? Just 60 bucks. No idea when this was fixed as a feasible tax amount. But this is anything but sufficient to handle all kinds of hazardous waste.